HOUSTON--(BUSINESS WIRE)--ePROMIS Construction software, the industry-specific business management solution by ePROMIS Solutions Inc., has been listed in Capterra's 20 Most Popular Construction Management Solutions list. Capterra, a Gartner company that offers software consultation services, released their latest most popular Construction software ranking based on the number of current customers, number of active users, social media presence and customer feedback. 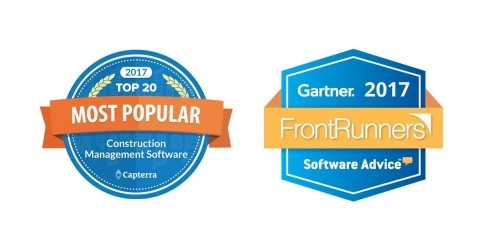 "ePROMIS solutions ranked in the latest version of our Top 20 Most Popular Construction Management Software report," said Rachel Wille of Capterra, a group that researches Construction management software. "This software report lists Construction software products based on a weighted formula that combines the total number of customers, the total number of users as well as social presence. ePROMIS’ social presence was one of the largest we surveyed showcasing ePROMIS as a thought leader in the industry." “We are honored to be recognized by Capterra,” said Mathews Mathew, the CEO of ePROMIS Solutions. “ePROMIS Construction software is unique, it's designed to understand and overcome the present, and future challenges of the Engineering and Construction (E&C) industry." "Construction companies should ensure maximum project visibility, resource optimization, and cost management to be profitable and position themselves for more opportunities. No other Construction management system is as capable as ePROMIS Construction Software in these areas.” ePROMIS ERP software is a blend of responsive technology and global best practices assisting companies in the Construction contracting business to get the most out of opportunities. ePROMIS has empowered businesses since the solution-based company was founded in 1981. The company provides industry-specific on-premise, cloud and web-based business management solutions to various industries including construction & engineering, real estate, oil & gas, manufacturing, logistics, and supply chain. ePROMIS has worldwide operations through channel partner networks, regional offices, and support centers.